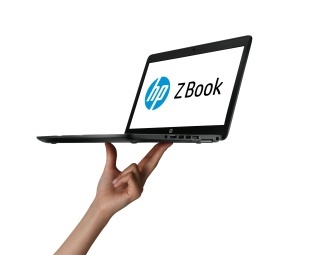 Home Blog Leasing the new HP Z Book, is there finally a Macbook Pro rival ? the new HP Z Book, is there finally a Macbook Pro rival ? Whilst HP’s current mobile workstation line of Elitebook’s (8560w/8760w) are popular and have done a great job, they frankly aren’t very exciting and therefore were never likely to attract defectors from the Apple crowd. However with many sceptical about the lack of expandability in the new Mac Pro; heading over to the Z range of HP desktops, they may now have their heads turned by the new dark suave very fast HP ZBook. Since Apple don’t make a 17″ laptop anymore then HP’s new 17″ is an intersting alternative.Many pretenders to Apple’s crown focus on lightweight trendy looks but HP has focused on power and graphics. The three new models are simply named the Z Book 14, the Z Book 15 and Z Book 17. With the number denoting the screen size. With the Z Book 14 being claimed as the world’s first Ultrabook workstation it has some impressive specs to back it up. As with all the Z Book range it uses brand new Haswell processers and has a Firepro M4100 Graphics card working alongside an Intel 4400 with a dynamic switching facility. It will have either an SSD or up to 1TB Hard Drive and can be configured up to 32GB so should satisfy the majority of CAD software. Weighing in at 3.57 pounds it’s a little lumpy for an Ultrabook but still it’s the only ISV certified one available. It will also have the ridiculously fast Thunderbolt port, up until now an exclusive for Apple offering 10GBp/s data transfer speeds. The HP Z Book 14 also comes with the option for a touch-enabled panel, making it a great choice for anyone who likes a hands-on experience. Pricing has yet to be announced on the 14″ but HardSoft Computers as HP Preferred Partners will be offering it on an affordable business lease as soon as it is available. The HP ZBook 15 and HP ZBook 17 are more modelled on the traditional laptop but include some pretty impressive features. First of all the maximum storage capacities make you wonder where they are fitting it all with the Z Book 15 offering up to 1.8TB and the Z Book 17 offering a monstrous 2.8TB it really has a hold over the entire Macbook Pro range. HP have also taken a leaf out of Apple’s book and have placed great emphasis on improved battery life offering up to 14 hours and 12 hours respectively for the Z Book 15 and Z Book 17. For the power users out there the range will offer all of the top end Haswell processors and up to a fantastic 32GB of RAM. Graphics wise HP have turned to nVidia for the two non Ultrabooks offering the shiny new nVidia Quadro range including the K610M, the Quadro K3100M, the Quadro K410M, and the ridiculous Quadro K510M with 8GB dedicated GDDR5. The HP Z Book 15 will include an option for a super-high-resolution QHD+ 3,200 x 1,800 display providing greater detail in images for customers that require extreme image accuracy. The HP Z Book 15 and 17 both feature a Thunderbolt port, as well as an optional DreamColor Display panel that provides accurate and consistent colour from the display to print and the big screen. Unlike the ZBook 14 the 15″ and 17″ is now available to lease at £18.80 per week for the Zbook 15 and £22.60 per week on a three year lease for the 17″. 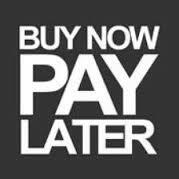 All business leases can be deferred so take delivery now and start the first payment in 2014. Both feature i7-4700MQ CPU’s, 16GB Ram, 750GB hybrid storage and Nvidia Quadro graphics. There are cheaper that generally have poorer graphics options and more expensive that have larger faster storage and better displays. HardSoft leasing includes 3 years on site warranty and the option to cancel or renew after two years. Ownership is available at the end of a HardSoft lease for just £1 at the end. Further developments in the Z range of HP Desktop Workstations have seen new monitors the Z27i and Z30i and the Z220 Workstation will be replaced with the Z230 featuring new Intel processors and chipset. And HardSoft can offer software leasing as well for Adobe, Autocad and Vectorworks.